Over the past 30 years, obesity has become a primary health concern in the United States. Currently, one-third of American children and two-thirds of American adults are overweight or obese. Obesity can lead to chronic conditions – such as heart disease, diabetes, osteoarthritis and cancer – that shorten lives. Studying the underpinnings of the obesity epidemic and finding solutions are goals of UC Agriculture and Natural Resources (UC ANR) researchers, including Lorrene Ritchie, the director of the UC ANR Nutrition Policy Institute. Ritchie has conducted nutrition research for more than 20 years, propelled by a lifelong desire to find answers that help people. Her work and the work of nutrition researchers around the country are beginning to reveal the best strategies to ease the problem of obesity and overweight in America. In the early years of the epidemic, public health professionals believed education was the best way to solve the obesity epidemic. When education was ineffective, professionals turned to the environment. Researchers now realize that a combination of interventions would be most likely to have an impact on the epidemic – policy change, environment change, education and promotion. Research has shown that starting obesity prevention programs in middle school or elementary school may be too late. Effective obesity prevention starts early and continues throughout the lifespan, Ritchie said. 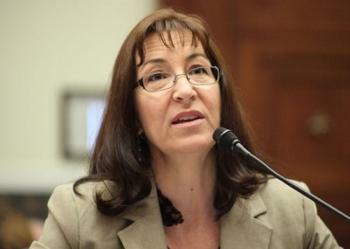 She was part of a research initiative that investigated the nutrition environments in childcare settings in California. They learned that one-fifth of the childcare providers served whole milk, 2 percent offered flavored milk, and 27 percent gave children juice more than once per day. Only 28 percent always served water with meals and snacks, and 36 percent served no water at all. The results informed the writing of California's Healthy Beverages in Child Care Act in early 2010, which required home childcare providers to have water available to children all day long. The measure passed, was signed by Gov. Brown, went into effect in January 2012, and stands today as the most comprehensive law on childcare beverages in the nation. 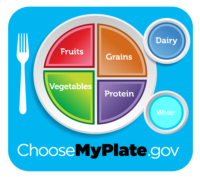 Ritchie is working with the NPI team plus dozens of nutrition and health professionals around the country to ask USDA to add water to its highly-visible MyPlate healthy-eating icon. Nearly every school in the nation serves school meals and studies have shown that school meals are healthier than what most children eat elsewhere. To boost the eating habits of school children, NPI scientists are writing a paper showing the impact of an innovation in the school breakfast program – serving it in the classroom, rather than in the cafeteria. Nutrition concerns of college students is also being put under the microscope. Ritchie is co-leading a comprehensive study on food insecurity among UC students, made possible with funding from UC President Janet Napolitano’s Global Food Initiative. Students at all 10 UC campuses are being asked, for example, whether they can afford balanced meals and if they ever felt hungry but didn’t eat because they didn’t have the money. Since childhood, Ritchie has dreamed of making the world a better place. “Being a child of the 60s, I just knew I wanted to be the voice of the voiceless,” she said. She earned a bachelor’s degree at San Jose State in biochemistry and considered medical school, but realized she was more interested in illness prevention than treatment. Ritchie realized she could combine her passion for promoting the public good and a knack for science in a career centered on nutrition research. Ritchie, the first member of her family to pursue a graduate education, has master’s and doctorate degrees in nutritional sciences, both from UC Berkeley. She is also a registered dietitian.